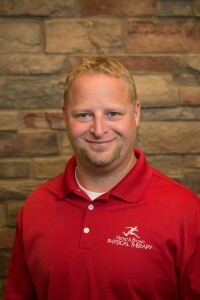 Jeremy earned an associate’s degree as a Physical Therapy Assistant (PTA) from Mercyhurst University in 2001. He worked as a PTA in outpatient physical therapy for six years before joining Hertel & Brown in 2008. He has completed additional training in the McKenzie Method treatment of the neck and back. He also completed additional training in the treatment of vestibular disorders. Vestibular rehabilitation is an exercise-based program designed to help individuals with acute and chronic symptoms of vertigo, dizziness and/or disequilibrium resulting from damage to the vestibular system. Jeremy’s additional training in the assessment & management of vestibular disorders allows him to help patients reduce symptoms of dizziness as well as improve balance impairments.